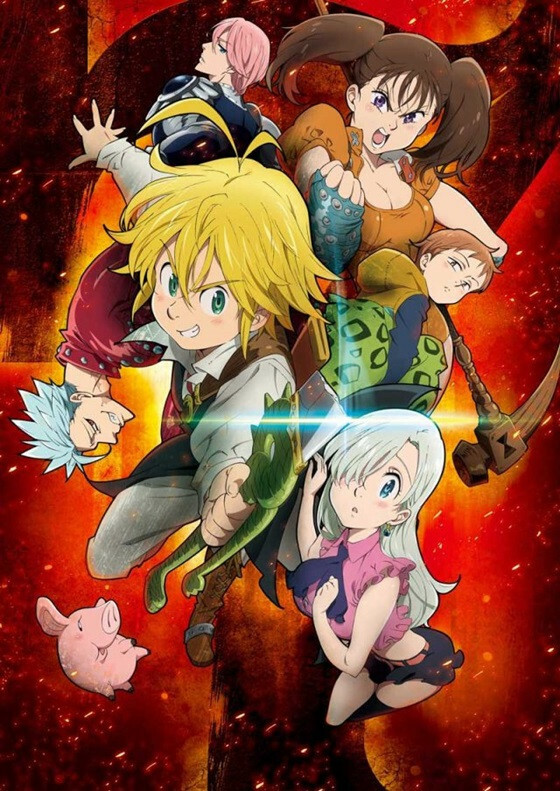 In addition to the previously-announced seven, the 44th issue of Kodansha's Weekly Shonen Magazine, which is officially published today in Japan, revealed three more cast for the upcoming TV anime adaptation of Nakaba Suzuki's fantasy manga Nanatsu no Taizai/The Seven Deadly Sins. 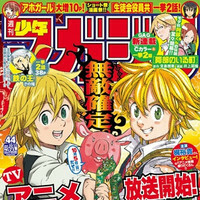 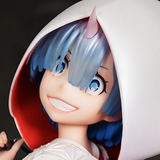 The cover of the issue features both the manga and anime version of the protagonist Meliodas. 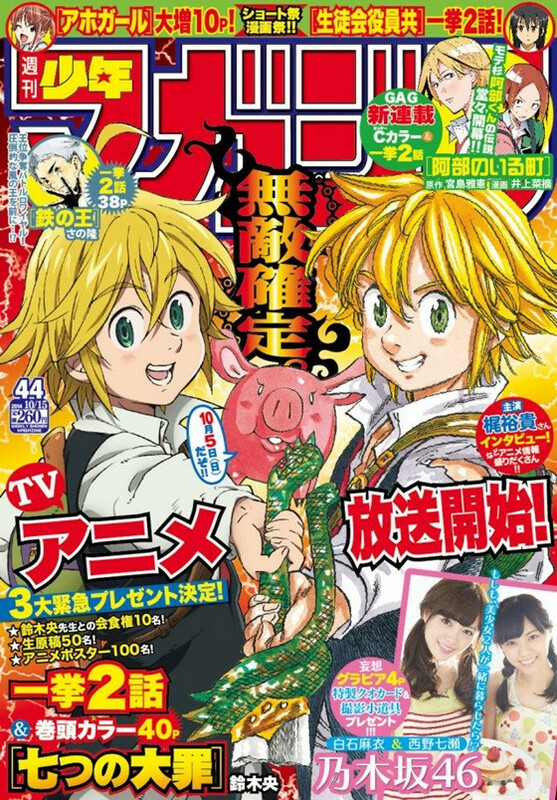 26-year-old popular voice actress Mariya Ise, who is best known as Urara Kasugano/Cure Lemonade in Yes! 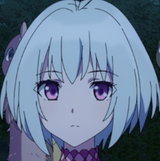 PreCure 5 (2007-) and Killua Zoldyck in Hunter x Hunter (2011-), voices female Holy Knight Guila along with Marina Inoue as Jericho and Ryohei Kimura as Hauser. 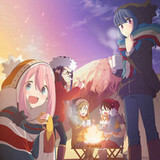 The TV anime will premiere on 28 stations across Japan on October 5.